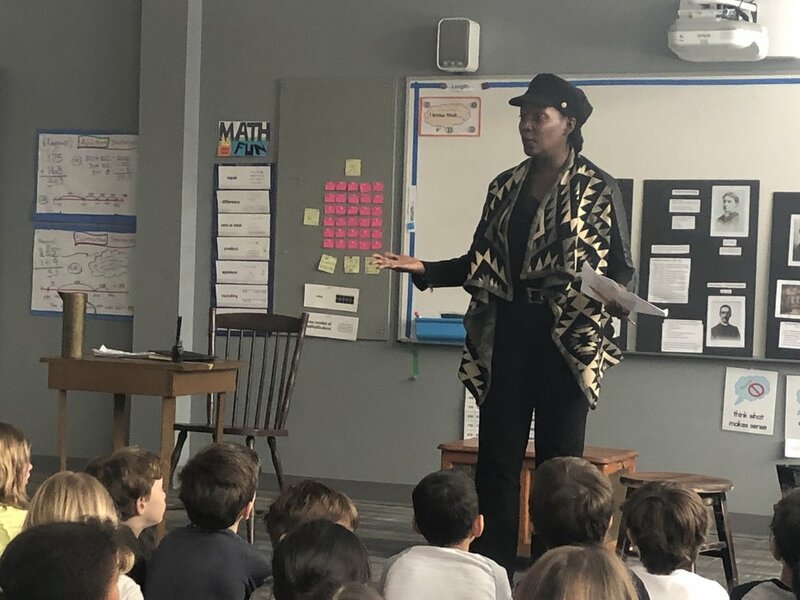 Beacon Theater Productions visited the third grade today and presented the one-woman show Letters to Aunt Hattie. The show is a portrayal of African American Philadelphia civil rights activist Harriet Forten Purvis (Hattie) (1810–1875) and is based on correspondence between Harriet and her niece Charlotte. When Charlotte expresses worries about her future to her Aunt Hattie, she learns about the struggles and accomplishments of her aunt and is inspired by her activism. After the show there was a lively Q&A with the director, the playwright, and the performer.